Will Gov. Kate Brown Appoint Factory Farmer to Oregon’s Board of Agriculture? 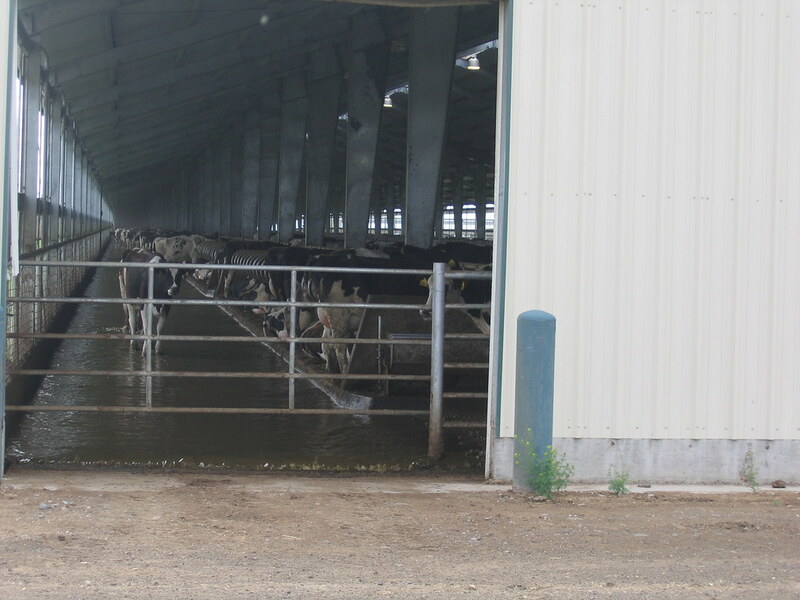 The groups says that appointing a representative of a confined animal feeding operation (CAFO) could have repercussions for family farmers, whose numbers are decreasing even as the numbers of cows are increasing. Marty Myers, Brown’s pick, is the general manager of Threemile Canyon Farms, a factory-scale dairy operation with corporate headquarters in North Dakota. Threemile houses over 50,000 dairy cows in confinement in Eastern Oregon, but has state-issued permits to expand to over 90,000 dairy cows. The factory farm, located near Boardman, produces twice the biological waste of a city the size of Salem, is one of the nation’s largest factory dairy operations, and likely Oregon’s single largest source of agricultural air pollution. According to OPB, Threemile Canyon supplies Tillamook Dairy with the milk for its cheese. And according to the United Farm Workers, in the past the company has had labor issues, health and safety violations and gender discrimination allegations. Cows at Threemile Canyon Farms. Photo by Friends of Family Farmers. Friends of Family Farmers says that the board, “is currently exempt from oversight by the Oregon Government Ethics Commission. In addition, its members are selected by the governor, but are not confirmed by the Oregon Senate,” which the group says raises transparency and conflict of interest concerns.